VEMP is a physiological test of balance function and is requested primarily by Neurologists and Ear, Nose and Throat specialists. VEMP is a useful tool for diagnosis of some balance disorders. VEMP testing gives information on the function of the saccule (our sensory structure for linear acceleration in the vertical plane) and the balance nerve. Combining VEMP with other tests of the balance (vestibular) system can give a greater insight into its problems. 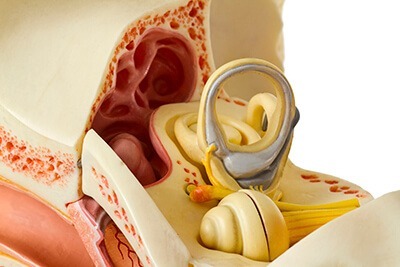 Testing involves the presentation of loud sounds into the ear, which makes the saccule vibrate. This in turn causes the neck muscles to relax which is measured by our clinicians. Testing does not induce any sensations of dizziness and the client is not aware of any change in their neck muscles.